R-CALF USA would like to extend our gratitude to all of the generous sponsors for making our 2017 convention the best ever! Click here to view the list of our member sponsors, without them we could not do what we do! Again, thank you to our sponsors and we look forward to seeing everyone at this year’s Annual Convention and Trade Show in Rapid City, SD August 24 & 25, 2018. Details coming soon! 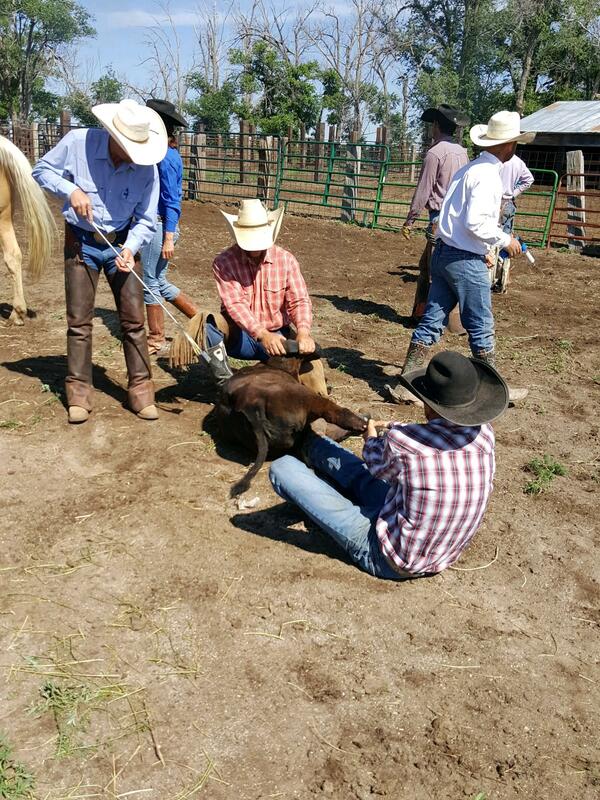 The Chain Ranch is full of tradition and history dating back to 1893 when Oscar Chain traded fifty dollars and a shotgun for a quarter section,160 acres, in Dewey County, Oklahoma. 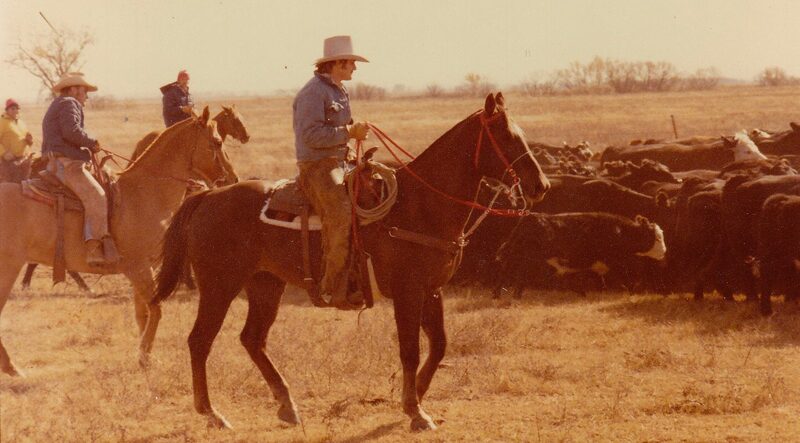 Since that trade, the Chain Ranch has developed into a six generation owned and operated family business, with four ranches in Oklahoma, three in Kansas and several leased properties in both states. The Ranch runs a cow/calf operation, in which all of the weaned calves are kept and marketed as fat cattle. We also handle stocker calves on grass and wheat pasture. The largest portion of our bulls are Limousin, Angus and Red Angus. The genetic integrity of our herd is maintained through our selective AI breeding program. The quality of our beef is evidenced in the manner in which we go to market. 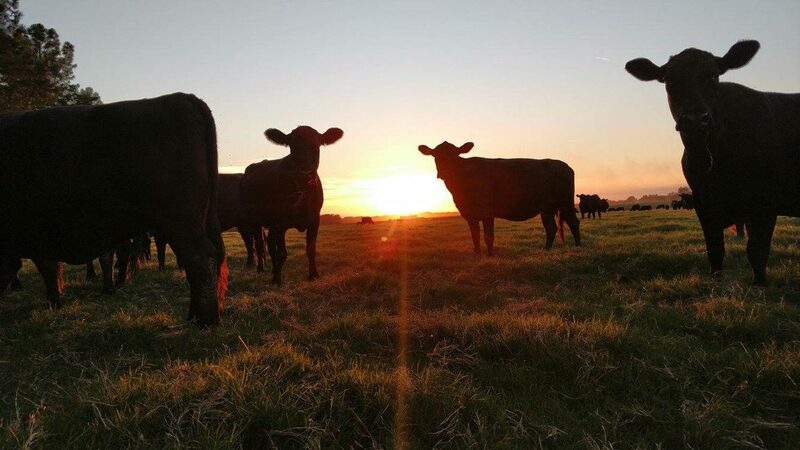 The vast majority of our cattle are marketed through Myres Natural Beef, ensuring an all-natural product with no trace of antibiotics or hormones. The ranch farms approximately 10,000 acres of wheat, alfalfa and feed in Oklahoma and Kansas. In addition to these traditional crops, we are now incorporating canola, millet, and milo into our crop rotations. Lastly, we believe that our ranch is truly a gift from God. We’re here to be good stewards of this land until he decides to take it back. The Chain Ranches Legacy Sponsorship is in honor of Ralph Chain. The Southern Cross Ranch was established in 1849 with the purchase of land by Captain John T. Chambers, CSA , in the Farmers High community of Carroll County Georgia. It was part of Indian lands ceded to the State of Georgia. It was largely a cotton farm tended by the Captain and his 4 sons and daughter. After his return from the Civil War where he lost 3 of his sons, the land suffered from mismanagement and the ravages of Reconstruction. It was around this time that the transformation from cotton to cattle took place and cattle remains the primary cash crop to this day. Though it has been known by several names over its history, the Southern Cross was settled on to reflect the Chambers deep pride in their Southern Heritage as well as their strong faith in their Lord and Savior Jesus Christ. 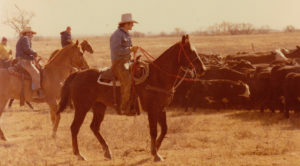 Most recently, the ranch was owned in partnership of Alvin Chambers and his son George, the sixth and seventh generations to live on and manage the ranch. 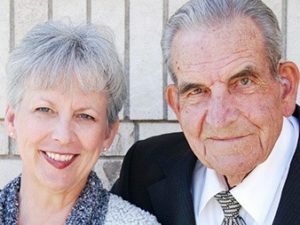 Upon Alvin’s death in December of 2014, the ownership transferred wholly to his only child George, who manages it with the help of his wife, the former Candi Harrell, who’s roots herself are deep in the cattle industry in Georgia and Alabama, and the 8 th generation, their children Kaleb 11, and Taylor 9. The ranch has been home to purebred Angus and nationally recognized Charolais cattle including the National Champion Charolais bull in 2001. They currently own in partnership the 2017 National Western Stock Show ROV Reserve National Champion Angus Bull and the 2017 Ft Worth Stock Show Reserve Champion Angus Bull. It has also been home to a stocker/background in operation. It is currently operating as a cow/calf operation who calves are preconditioned and sold post weaning. Born and raised in Euclid, North Dakota; Herman Schumacher was the 2nd of 9 siblings that grew up on a dairy and beef farm. Schumacher went to auctioneering school in 1970 and he went on to auction at numerous markets in the area. In 1981, he built the Herreid Livestock Auction in South Dakota and managed it until 2007. Schumacher has also been involved in a commercial feedlot in Ipswich, S. Dakota called LBL cattle since 1996. 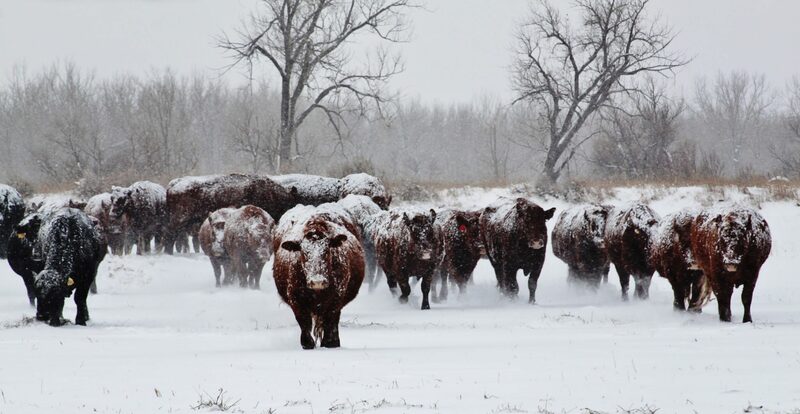 Herman says that they fatten/feed some of the best cattle from Montana, North Dakota and South Dakota at LBL Cattle and most of the cattle are being harvested at the DemKota Ranch Beef plant. DemKota is a new plant in Aberdeen, S. Dakota that only processes USA cattle. Herman has been in the feedlot business for 31 years and sells annually between 20,000 and 25,000 finished cattle. Herman married Diane in 1972 and they recently had their 45th wedding anniversary. Herman and Diane have 3 children Lauren, David and Holly; and 9 grandchildren the oldest is 16 years old and the youngest is 11 months. Herman is awarding the legacy award to Johnny Smith. In honor of Nevada rancher Bert Smith who worked tirelessly to preserve and promote Constitutional principles especially private property and free markets in the cattle industry. Bert and his brother Paul owned the OX Ranch in Ruby Valley, Nevada. Paul is still there, at age 91, running the ranch now on his own, with some help from his family. Dr. Haynes graduated with a mechanical engineering degree from Southern University and was then recruited into an engineering position in Salt Lake City Utah at the Kennecott Copper Corporation Research Center. While there, he began medical school at the University of Utah, and after completing his surgical residency in Urology, he opened a private medical practice. Dr. Haynes’ research has been published in major surgical journals and he developed and patented a Surgical Stapler. Dr. Haynes is a Certified Trauma surgeon and is an instructor of Advanced Trauma Life Support training for physicians. 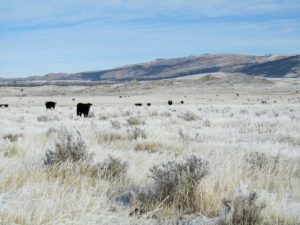 He also owns and operates an organic cattle ranch in southeast Wyoming and is an advocate for local sustainable food production and healthy eating. Dr. Haynes was appointed by two consecutive governors to the Board of Trustees of the University of Wyoming and served 12 years. 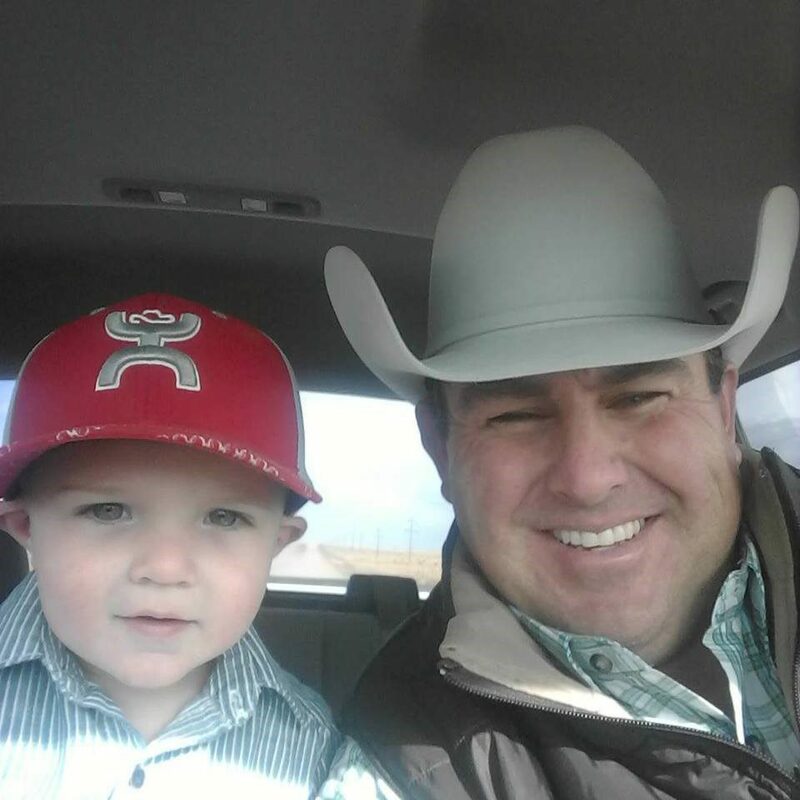 He was a member of the Board of Directors of Security First Bank, the Independent Cattlemen of Wyoming (ICOW) Board of Directors, and the national Ranchers-Cattlemen Action Legal Fund (R-CALF) Board of Directors. Dr. Haynes’ volunteer activities include teaching as an adjunct professor at the University of Wyoming. Additionally, he is a frequent presenter at Health Forums where he speaks on the benefits of prevention and healthy lifestyles. In 2006, Dr. Haynes was presented with the Award of Merit by the Gamma Sigma Delta Honor Society of Agriculture for his contributions in the field. In 2008, he was inducted into the Multicultural Western Heritage Hall of Fame in Fort Worth Texas. Taylor Haynes, M.D. is co-owner and serves as President and Chief Medical Officer of Prodegi Corporate Benefit Services. His experience as a medical expert and a leader in business allows Prodegi the ability to offer clients the unique advantage of physician involvement in the administration of their health plans. The Randall Ranch was established in 1937 by Dr. Ray Randall an obstetrician from Miles City, Montana. He Purchased part of the W Bar Ranch from Lee Wilson. His son Doug Randall, coming back from building warships during WWII, took over around 1944. Currently the Ranch is owned by Doug’s son and Grandson, Craig and Lee Randall. Randall Inc. is located 4 miles south of Broadus with the Powder River running through the ranch. Mainly a cow/calf operation, the ranch also backgrounds calves on silage corn and home raised alfalfa and summers them near Colony WY. When the markets are good you can see an occasional field of wheat, safflower, peas, and shell corn. With irrigated river bottoms and summer grazing in the rough country. The ranch has kept our family busy for 4 generations and hopefully many more to come. Kenzy Backgrounding, LLC. 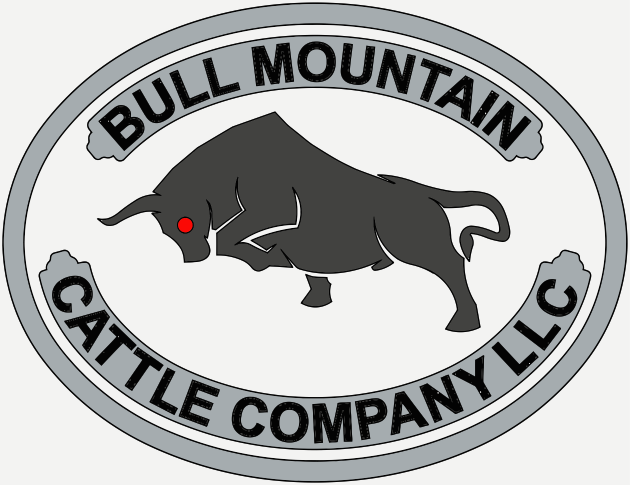 is a fourth generation family ranching operation that has grown from a cow calf operation into an EPA permitted feedyard specializing in calf backgrounding. Great pride is taken in providing the best care possible for our own livestock and those of our customers. We pride ourselves on many happy repeat customers and always look forward to developing new relationships with fellow cattlemen. 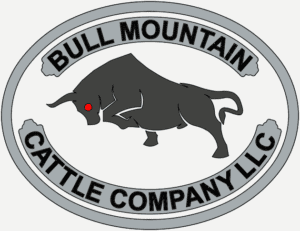 We are centrally located in South Central South Dakota, having feed resources and the skills and experience to precondition and grow calves for finishing operations located nearby in Nebraska and Eastern SD or Iowa. We are proud supporters of independent family farms and ranches and wish to continue our operation into generations to come. The Sullivan Ranch came to be when two pioneering families came west to realize their visions of building a future in American Agriculture. At the turn of the 20th century Lela Wright forged her way northwest from southern Oklahoma with 6 young children in tow after the death of her infant daughter and husband John to yellow fever. 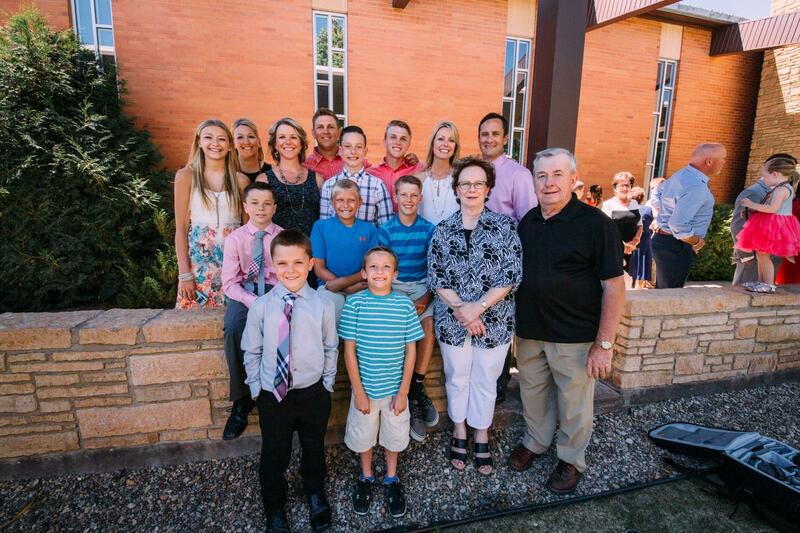 At the same time Michael Sullivan brought his three young sons to the 4-corners region of Pueblo, Crowley, Lincoln and El Paso Counties, Colorado after a short stint in Montana originating in Iowa. It was in this community that these families became interwoven and their descendants still scatter the region. Two generations and 70 years later Jerry Sullivan, grandson of Michael, and Linda Wright, granddaughter of Lela, were married and continued to produce on these sandy plains when they purchased her parents ranch. Originally a cow/calf operation, drought forced liquidation in the 1930’s and again in the 1950’s and in 1959 Jerry switched the operation to a seasonal stocker operation utilizing the regions short grass prairies for grazing purposes during the spring and short summer and letting the country rest from late summer to spring. Fast forward to 1992 when a need to avoid a mix of brutal winters and flyweight stocker calves necessitated a move to wheat grazing country in North Texas. 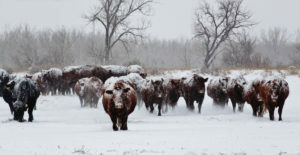 Today, lightweight calves are procured in the Mississippi/Alabama region and sent to the family owned preconditioning yard in Archer County, Texas, where they are wintered on wheat and then sent north in the spring to exploit the powerful shortgrass prairies of eastern Colorado, specifically the four-corners region homesteaded by these two families over 100 years ago. In this region, only three families were able to stay and continue to produce off of the land through the depression, the 1950’s and most recently the worst drought in regional history that occurred from 1999-2013. 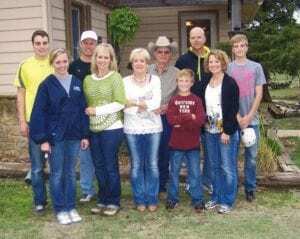 And although they were not immune to very hard times, deep roots and love of the land have kept the Sullivan and Wright families centered in beef production in this region. 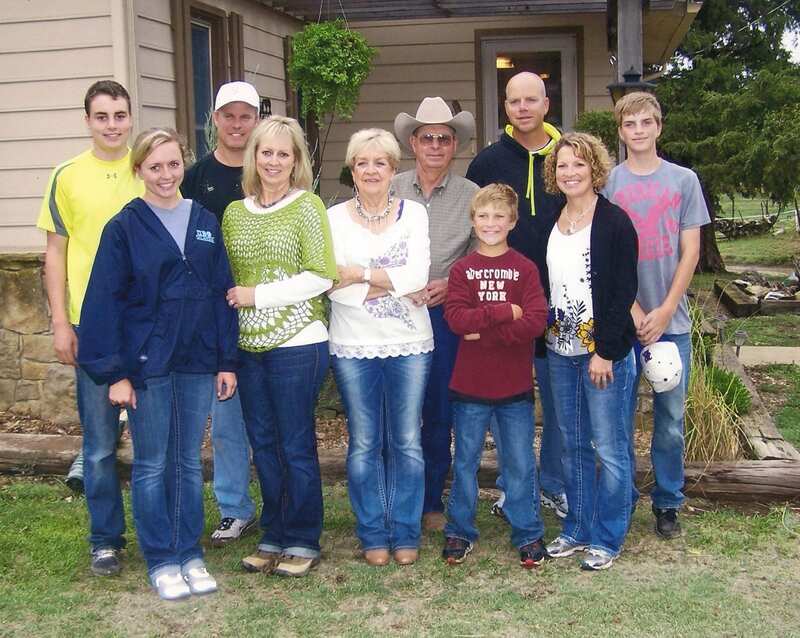 Today, after the death of her husband Jerry in 2011, Linda Sullivan continues to manage day to day operations of the ranch with the help of her 4 children and 2 grandchildren. After 25 years as the General Manager of the National Western Livestock Show, Chuck retired in 2013. He’s been deeply involved in farming, cattle and horses his entire life. After running cattle in Wyoming for 25 years, Chuck realized he was just “having a romance with a cow,” and sold his herd. He leases his ranches and farms in Wyoming. Roni grew up on a dairy farm in Nebraska. She subsequently raised four children in Denver. After marrying Chuck in 2001, she moved to Chuck’s 151 year old farm where she mostly raises hell. They share a passion about justice and property rights. With a focus on our Domestic Resource Providers, and a desire to educate Property Owners on what constitutes Private Property and protection those rights, they first founded Good Neighbor Law, then Land And Water USA (LAW). With Dr. Angus McIntosh, they helped nudge along the Range Allotment Owners Association (RAO). They appreciate the work that R-CALF does, and are excited about a healthy future of combined efforts of RAO and R-CALF. We have been in the ranching industry all our lives. Married in 1980, we came to Hermosa in 1983 to work for an elderly couple, Harold and Josephine Hasselstrom. With their health failing, we were offered an opportunity to buy the ranch and we jumped in with both feet! We have not only raised three children here, we now look forward to the third generation of Fox ranchers coming to this place. We joined R-CALF at its inception, knowing that we needed a strong voice to represent grass roots producers. We’ve been actively involved through meetings and conventions and helping to serve wherever needed. One of the highlights was being part of the South Dakota Stockgrower’s Association at the initial switch of national cattle organizations. SDSGA was the first organization to affiliate with R-CALF and we are very proud that we helped other states organize cattle associations that affiliated with R-CALF. Through thick and thin, we know R-CALF is the only representation we have on the national cattle industry level and we will continue to support them wholeheartedly! Ronnie and Wah-Leeta Rogers have lived North of Cedar Vale, Kansas for the past 44 years. Ronnie was born and raised in the Cloverdale Area. After his marriage to Wah-Leeta, who was from Ralston, Oklahoma, they lived in Stillwater and Enid, Oklahoma and Arkansas City, Kansas while Ronnie worked for the railroad and Wah-Leeta worked as a legal secretary. In 1973 they moved to Chautauqua County to begin ranching full-time, establishing R-Bar Cattle Co. Besides their work at the ranch, they also enjoy visiting with friends and family, watching grandchildren participate in their activities, attending First Baptist Church, helping programs there, and traveling. Both Ronnie and Wah-Leeta were active in $-H members in their youth and believe that 4-H, FFA, and the rural community lifestyle are a very important part of being productive individuals in today’s world. The Roger’s have two daughters, Robin and Amy, each of whom were active in 4-H. Robin is a pharmacist and lives in Edmond, Oklahoma with her husband Jeff Wallis. They have a daughter, Riley of Dallas, Texas, and a son Rhett of Norman, Oklahoma. Amy is a teacher and is married to Danny Driskill and lives in Hayes, Kansas. They Have two sons, Dax and Dawson. 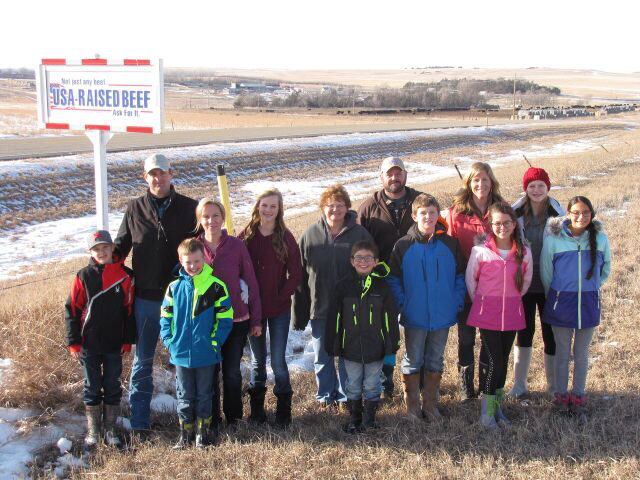 R-Bar Cattle Co. is a descendant of a century farm. Ronnie’s great-grandad, E.H. Rogers, came to Wisconsin in the late 1870s to the Chautauqua county area and settled there. 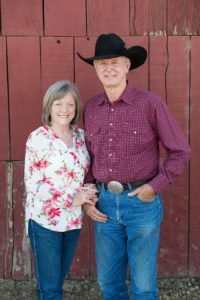 Now, as a fourth- generation ranching family, they partner with their two daughters and his brother, David, in a cattle operation that they manage for them, as well as their own cattle company. They are all individual land owners and own approximately 5000 acres and lease 7000. Our pastures are native bluestem and old fields sowed back to tame grass, Bermuda, Fescue, and Brome. We are basically a cow-calf/yearling operation and we also utilize the custom feedlots. We also market commercial Charolais bulls. In 1998, times had been hard, cattle prices as well as land prices had been low. We heard of Kansas Cattlemen’s Association, a vibrant new state organization, so we joined. We also heard of R-CALF at a sheep sale in Yates Center, Kansas, from a young couple from the Dakotas who had moved to Kansas, so we joined R-CALF! We realized we were not being represented by Kansas Livestock Association or NCBA and that we needed representation for the producer that dealt with the elements -weather, land, and livestock prices – the one that had the biggest investment and the greatest risk. We wanted and still want competition for our commodities, not monopolies and integration. Sustainability is an important factor in farming and ranching; good conservation practices and being good caretakers of the livestock are the key to long-term survival of any operation. Those have been our goals for 52 years, representing hard work and commitment. As a proud member of R-CALF, we would like to thank God to be in this business. God Bless the USA!! The Chambers farming and ranching business started in Decatur Co Ks near Lyle, Ks in the late 1800’s by Arthur and Mary Chambers. Their son Lester, my father, leased the farm west of Lyle in the 1940’s through 2000 except for an extended stop of 4 years traveling to Canada to help build the Canada Alaska Hwy and help ship the uranium down the McKenzie river to the USA. Plus being in many European countries as an engineer in the US Army, Lester carried his regular US military arms as well as a 22 caliber rifle to get some fresh game to eat for he and his buddies. They got tired of the regular food on a continuous basis. For several years after returning from World War II, he rented the land he and my mom Agnes farmed and ran a herd of cows. They fattened their calves and purchased more to go with them in our small farm feedlot. In the early 1950’s they purchased several pieces of land including part of the old Simpson ranch east of Oberlin, KS. Unfortunately, we had a major drought shortly after the Simpson land was purchased plus a bad hail storm. I got to ride on the old pull type Baldwin combine and knock the chaff off the radiator on the old Model A Ford engine to keep it from overheating. It was about 110, windy and I was about 9 years old. The wheat was only making around 5 bushels per acre, but we needed it for seed for the next years crop. This experience might have been what conditioned me more towards raising cattle than farming. Currently, Chambers Cattle Company is headquartered in Hays, KS with the main farm and ranch near Oberlin, KS and another ranch location near Ordway, Co. We run a cow/calf operation, feed cattle in commercial feedlots and background cattle in commercial feedlots as well as order buy cattle for numerous customers across the US. 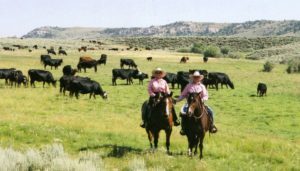 Family owned and operated for over 90 years, the MW Ranch is headquartered 15 miles south of Newcastle, Wyoming. The Hunt family manages a mostly angus cow-calf operation. The cattle graze prairie grass most of the year on the home place and summer on the Black Hills National Forest. Stockade Beaver Creek runs through the heart of the ranch providing flood irrigation for winter pasture and water to fill the MW Reservoir. The family has always enjoyed allowing free public access to the lake, a popular trout fishing spot for generations of area anglers. Tracy, Donna, and Hans Hunt are all very involved in the agricultural community and public service. Tracy is a Weston County Commissioner. Donna also served a term on the Weston County Commission and sat on the Wyoming Livestock Board. Hans is mid-way through his 4th term in the Wyoming House of Representatives. He sits on the Agriculture Committee, and chairs the Select Water Committee. Tim and Bette Ann started life in the same town, same hospital and same ranch in Calif. Bette Ann’s dad worked for Tim’s father and the families have been friends all their lives. Growing up Tim worked with his family ranching, riding colts, and entering Calif. and later PRCA rodeos. In 1967 he was drafted into the army and served in Korea until 1969 when he returned home to work on the ranch. Bette Ann’s family moved to Oakland where she attended high school and UC Berkley. She returned to the ranching community near La Grange, renewing her acquaintance with Tim and they were married in 1970. In 1979/80 they attended a Bible College. They raised three children, Dan, Elisabeth and Dallyce.. The Calif. operation ran cattle in the foothills during the winter then trailed the herd to the Sierras for the summer returning home in the fall. The cows have walked the same 5 day, 60 mile trail for 125 years. Tim’s grandfather mountain range included ground that now is a part of Yosemite National Park. 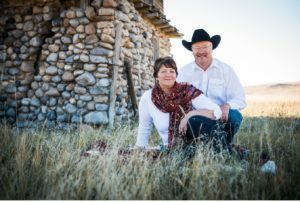 In 1994 Tim and Bette Ann traded an irrigated ranch in Calif. for the San Jose Ranch south of La Junta with the desire to give each of their children, if they wanted, to run cattle. Today Elisabeth and Kirk Noe manage the San Jose. Dan and Andra Erickson the Calif. ranch. Dallyce is a Product supply branch manager for Florida Tile in Lexington KY and her husband Matt Partymiller owns a solar energy business. Tim and Bette Ann enjoy being able to spend their time working both ranches because of the great help of their family. We’d like to say that we are grateful to God that our family knows Him. We’re also grateful to have been able to bring our children up in our business with an appreciation and love for the land and animals. We are blessed to live in this community that holds many of the same values.